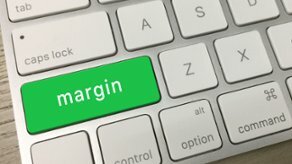 As a trader you need to know what margin is, how to anticipate it and how to meet the requirements without risking a margin call. Here you learn everything! The goal of this margin course is to help investors and traders understand what margin trading is, how it can be used to leverage trading profits, and what the risks of margin trading entail. In the investing world, “margin” refers to an investor using money borrowed from a broker to buy securities. An investor “buying on margin,” pays for part of an asset purchase, while the broker loans the remainder. The broker making the loan then uses the assets in the investor’s account as collateral -- if the securities purchased decline in price, and the value of the account drops, the broker can sell some of the client’s assets to repay the loan. The Margin Requirement is the percentage of a purchase that an investor is required by the broker or exchange to pay for in cash. So 50% margin means the investor pays for 50% of the cost of a purchase, and the broker lends the rest.